Two years after the opening of the Armory Show, a number of Greenwich Village artists and writers summered on the beaches of Provincetown, Massachusetts. They’d work during the day and at night gather around bonfires discussing the world and art. One topic often dissected was the state of commercial theatre, whose popular love triangle plays and melodramas deepened their conviction that American theatre had yet to find its own identity. Neith Boyce hosted a reading of her play Constancy on July 6, 1915, followed by a “performance,” paired with Suppressed Desires by George Cram Cook and Susan Glaspell, on July 15. The next day the group commandeered a fishhouse at the end of a wharf, transforming it into a theatre. The next summer brought more denizens of the Village, including journalist John Reed, artists William and Marguerite Zorach, and a 28-year-old unknown playwright named Eugene O’Neill. O’Neill’s Bound East for Cardiff possessed such realistic language and unique situation that the group felt they’d found what they were looking for. Glaspell wrote Trifles, still considered one of the best American one-acts ever written. By the end of that summer of 1916, they formally organized in New York City, committed to producing only new American plays. 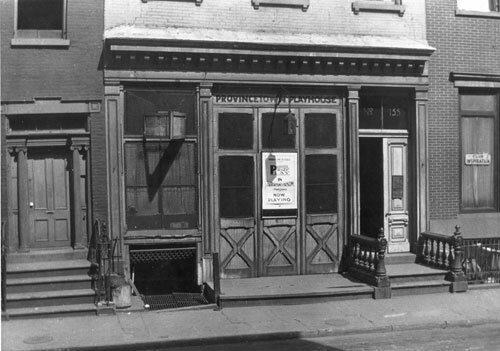 Led by Cook, they began at 139 MacDougal Street, moving in 1918 to 133 MacDougal, which became the permanent Provincetown Playhouse. Over six years, the Provincetown Players produced the first experimental American theatre with expressionistic, futuristic, and surrealistic plays; plays with potent political themes; poetic, verse and allegory plays; plays that showed the plight of lower and middle class Americans; and they launched the careers of O’Neill and Glaspell, future winners of Pulitzer Prizes for Drama. The Provincetown Players catapulted American playwriting into the modern era and created a pathway for native playwrights to begin writing artistic plays about serious issues. Jeff Kennedy, Assistant Professor of Interdisciplinary Arts and Performance, Arizona State University. For more information, visit www.provincetownplayhouse.com. Robert Karoly Sarlos. Jig Cook and the Provincetown Players, Theatre in Ferment. Amherst, MA: University of Massachusetts Press, 1982. Brenda Murphy. The Provincetown Players and the Culture of Modernity. New York: Cambridge U Press, 2005. Eileen Herrmann and Robert Dowling, eds. Eugene O’Neill and His Early Contemporaries: Bohemians, Radicals, Progressives and the Avant Garde. Jefferson, NC: McFarland, 2011.